As with all worthwhile things, this Fest is made possible through a web of connection and support. Here are a bunch of ways that you can become an integral part of it all. We don't have to tell you that there is a fervor around Tiny Houses. It's the confluence of housing equity, innovation, sustainability and creativity that supports our growing and changing communities. Learn more about sponsorship levels. Or get involved in another way as a partner. Our pop-up tiny house village in downtown Brattleboro has spots of 30 houses this year. Do you have a Tiny House on Wheels? Travel pod? Skoolie? 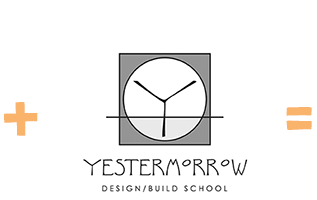 Are you a first-time design/builder or a tiny house professional? 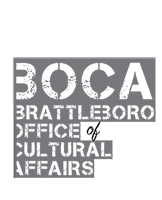 Connecting the parts of our Fest campus is the Building Arts Marketplace. Bring your goods and services and connect to the huge, engaged and enthusiastic crowd. Do you have experience and expertise to share? We'd like to hear more about it on one of our three learning stages: "Community Vision" Stage — housing trends/policies/zoning, affordable housing, regional housing initiatives, creative placemaking, tactical urbanism, and more; "Design/Build" Stage — green building, insulation, heating systems, toilets, ventilation, trailers, and more; and "Story" Stage — tiny house dwellers will tell the story of their design/build and answers questions about living tiny. Parklets are tiny, temporary public spaces, designed to fit in a single street parking spot. Let us know if you are interested in having your school or youth group learn about the Parklet Initiative. Or make a proposal for your own idea. Join our busy hive. Be part of the organizing fun before the Fest or on Fest Day and get a LEARN Ticket. Without you, this couldn’t happen. You Rock! Contact us for more information about any of these opportunities by completing form below. 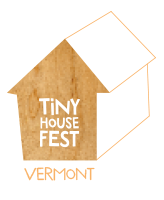 Wanna JUST keep up with Tiny House Fest Vermont news and developments? Sign up here!